Although wireless technology has eliminated the need for many networking cables and will probably eliminate them completely in the future, for now most computer networks continue to utilise cables to send and receive signals. Networking cables allow connection of one network device to another and connection of two or multiple computers to shared devices such as printers for instance. To connect network devices or computers to shared devices, different types of cables can be used. Examples include twisted pair, coaxial cable, optical fibre cable, patch cable and Ethernet crossover cable, depending on the computer network arrangement, size and personal preferences. Different types of networking cables are discussed below. Twisted pair refers to a type of cable with a pair of wires being twisted with an aim to eliminate electromagnetic interference or EMI from outside sources. Two types of twisted pair exist – shielded and unshielded. Speed of information moving through twisted pair varies greatly, ranging from 1 Mbps to 10,000 Mbps. This type of networking cable has a single central conductor surrounded by a plastic layer which in turn is surrounded by a braided metal layer. It has an extremely low level of signal interference and is suitable for connections requiring greater lengths of cable. Two types of coaxial cable exist – thin or thinnet and thick or thicknet. Optical fibre cable is a type of cable with a glass or plastic fibre core which is surrounded by multiple layers of protective material. It can send and receive signals over very large distances at very high speeds. Two types of optical fibre cable exist – single and multimode, referring to the number of light reflections or modes passing through the core. This type of networking cable contains either copper wire or optical fibre. It provides great speeds but it is usually used only for short distances and to connect one device to another. The Ethernet crossover cable is a type of cable which connects one device to another directly. Examples include computer to router, computer to hub, etc. Which Networking Cable to Choose? Every networking cable has its advantages and disadvantages. The selection above all depends on computer network arrangement, distance, speed, cost, ease of installation and other factors which should be considered carefully before making your final decision. 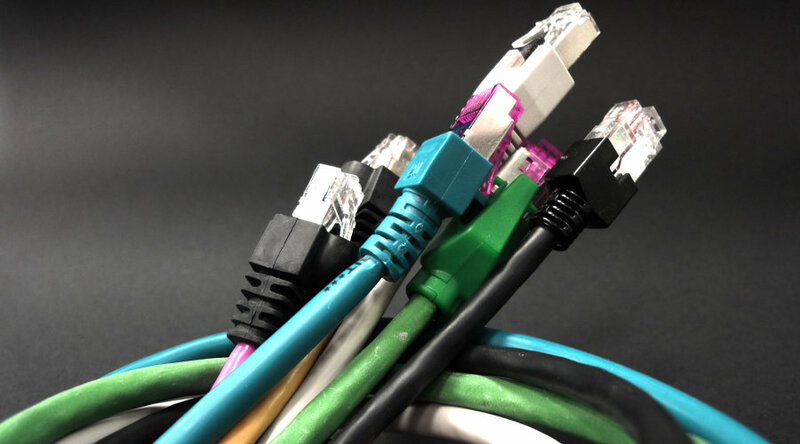 If you aren’t sure which networking cable meets your needs the most, consult an expert.